The VW Passat has built quite the following in the United States. It all started with the mid-size sedan's complete makeover in 2012, which marked a lower starting price, new styling and engines, and a larger trunk and interior. Reveling in the past has its charm, but it's much more exciting to look at what's coming. For 2014, the Passat adds a new 1.8-liter turbocharged direct-injected four-cylinder engine with 170 horsepower and 184 lb.-ft. of torque, the VW Car-Net connectivity system, a rearview camera and an all-new Sport trim level. This award-winning mid-size sedan just got a little bit better. 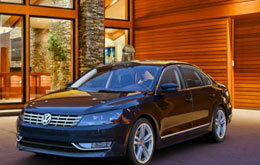 The 2014 VW Passat arrives in Orlando in S, SE, SEL, Wolfsburg and Sport trim levels. Buyers have three engines to choose from, including the all-new turbocharged option, a TDI turbodiesel, or a 3.6-liter V6 with 280 horses and 258 lb.-ft of torque. The new 2014 VW Passat comes equipped with features and amenities, like: keyless entry, dual-zone climate control, fully powered accessories, cloth or leatherette seats, cruise control, a tilt-and-telescoping steering wheel with audio controls, Bluetooth, and a six-speaker AM/FM/CD stereo system and auxiliary jack, heated exterior mirrors, heated front seats, rear air vents, and exterior chrome accents, a sunroof, navigation, a rearview camera, remote start, push-button start, fog lights and more. 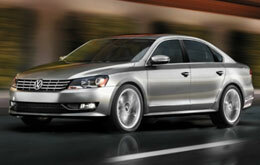 Continue reading our VW Passat review below or contact David Maus VW South for more information on the new 2014 Passat. The 2014 Honda Accord, Nissan Altima and the Toyota Camry are surpassed by the 2014 Passat in a multitude areas. 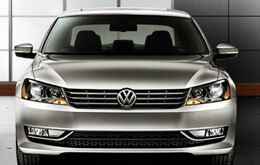 The Passat has several notable attributes, including its advanced onboard technologies and pronounced exterior design. For Orlando Volkswagen customers who want a truly outstanding value, just compare this vehicle's price to the vehicle options listed above and you'll see that it's a solid investment. Find out more - Browse the bullets below this paragraph! The Volkswagen Passat review above, along with overviews of previous year models and other 2014 Volkswagens, will help make finding your next car less of a hassle. 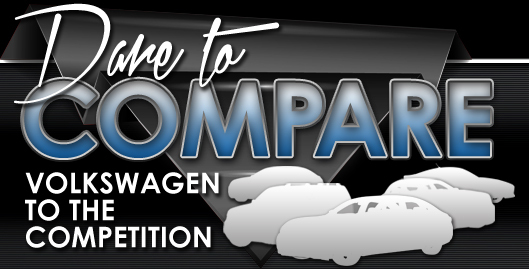 As the prominent Volkswagen franchise in Orlando it is our job to serve our customers with reviews transcribed by the most exceptional Volkswagen writers around. Information you can be confident of to make wise decisions is right here - each summary is jammed with important material and specs. Now that you've read David Maus VW South's review of the 2014 Passat, please call us to find out about incentives and great short-term lease offers, so you can save a substantial amount on your next purchase!